So let's do a little "Random Tuesday". 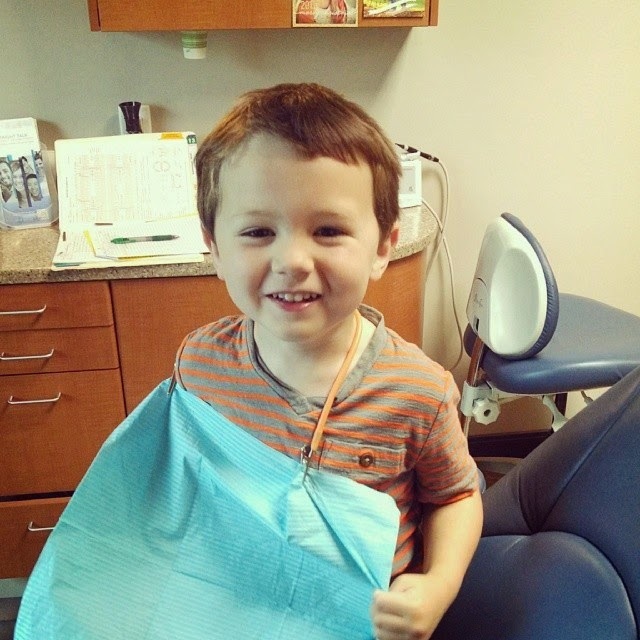 -Hudson and I went to the dentist this morning. He was perfect and watched his little show while I got my teeth cleaned and then did SO well getting his cleaned for the very first time. I was very impressed with how well behaved he was and it makes me realize that all of the hard work we are putting into discipline and making him listen and obey is (somewhat) paying off. Thankfully my dad was available to come and stay with Rhett while we went because I hadn't quite worked out the logistics of containing him while I was getting my teeth cleaned yet. Ha. -I've been using Myfitnesspal (user name jmkbuett add me!!!) for ten days straight now. I did Insanity three times last week and have already done it twice this week. I am working hard to get my booty back in shape. It is amazing when you start tracking what you're eating how quickly the calories add up! I am hoping that being dedicated to tracking my food will aide in losing those lbs. 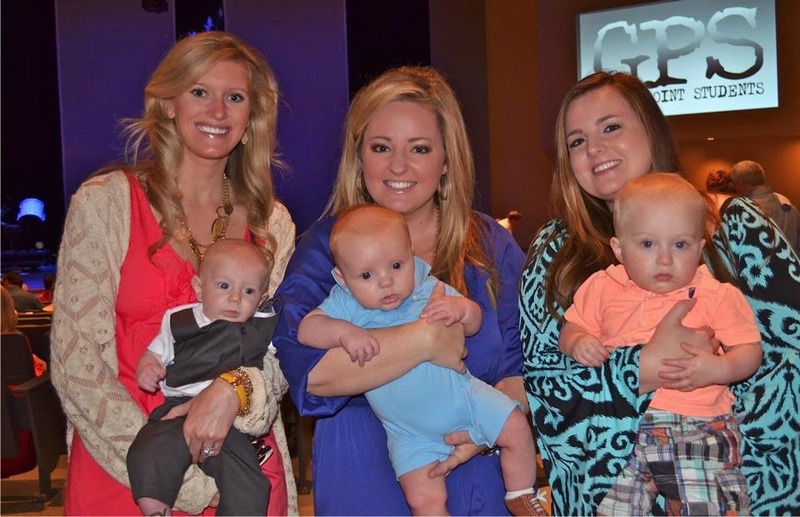 -My friend Katy sent me this picture from Sunday at church before Rhett's baby dedication (Katy and Ashleigh both dedicated their newest loves too). Apparently my hair needed some teasing and this isn't a great angle, but whatevs. I am not going to let myself not have these picture memories just because it's not a great picture of myself... plus Rhett looks really cute. -Speaking of Rhett... he has been waking up between 4 am and 5 am. This is NOT okay with me. He is cutting his top two teeth and I'm not sure if that's part of the reason or what. I am a morning person but NOT a 4 am early person. No gracias. -We are going over to our friend's house for dinner tonight and I am excited to get to spend some time catching up with my girl friends. It suddenly got cool and rainy in NWA so we've been contained inside for a few days, I'm ready for our warm weather to come back! That's it for today. I still have three of the five guest spots open for next week. Email me if you're interested (jmkbuett (at) gmail).